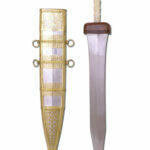 Typical Roman Gladius shape from approx. 100 a.d. The original was found in the ruins of Pompeji, which was buried in 79 a.d. 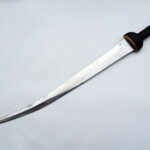 The blade is hand-forged from carbon steel. 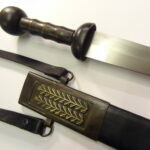 Pommel and guard are carved and turned wood. The hilt is made of bone. 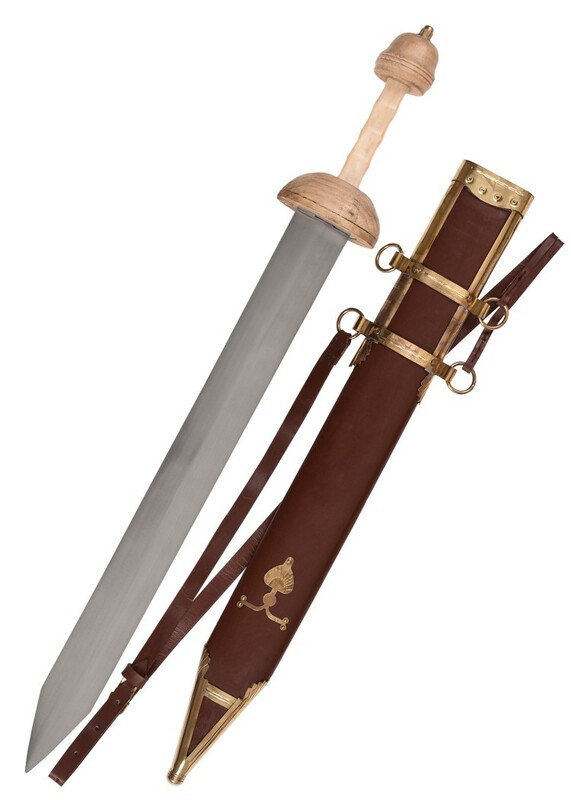 Delivery includes a beautiful wooden scabbard with burgundy leather and brass ornamentation.